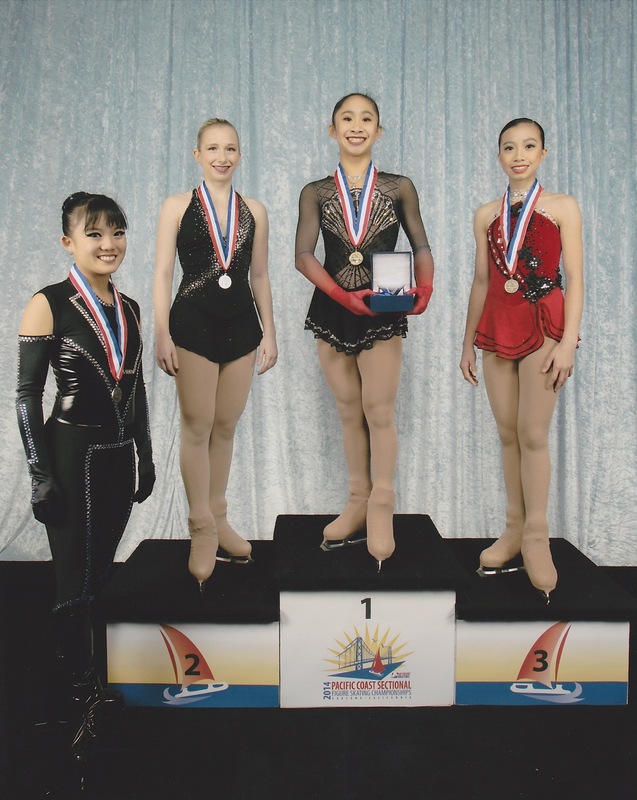 The Junior Ladies Medalist (R-L): Elizabeth Nguyen (Bronze), Amy Lin (Gold), Tyler Pierce (Silver), Xylina Rusit (Pewter). Posted on December 8, 2013, in Figure Skating and tagged 2014, Figure Skating, Junior Ladies, Pacific Coast, Sectional. Bookmark the permalink. 2 Comments. You are in the right IJS score range to have a clear shot at the title. If you perform like we know you can you’ll win the gold – if you have a bad day, then you’ll be much better next year. Thank you so much for your support! I love you guys too!